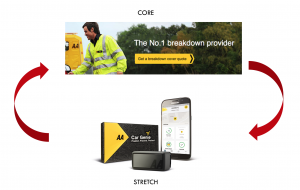 An email from the AA breakdown service grabbed my attention this morning. It was promoting Car Genie, a little device that plugs into you car and lets you know if it spots a fault via an app on your phone. It also keeps an eye on your battery level and knows your car’s location, so you can see where you parked it. This struck me as a smart bit of brand stretching for the AA, from being just a roadside breakdown service to car health-checking, helping ‘Predict, Prevent, and Protect’ you from motoring problems. 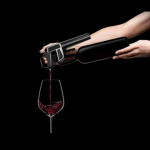 Below we look at what we can learn from AA’s brand stretching beyond the core. People often talk about the brand image benefits of brand stretching, sometimes called the ‘halo effect’. However, we encourage clients to consider these benefits as ‘the cherry on the cake’; the real focus should be on the business building benefits. The first and most obvious benefit is the revenue stream from the new product itself, which costs £29 for a year’s subscription. But the best brand stretch initiatives do more than just add extra revenue: they actually renovate the core business. Car Genie enhances the core service experience, by highlighting issues that need fixing by the AA. “A light on my dashboard came on and the app explained the problem and suggested I call for help. A chap came out and fixed everything for me – excellent,” is a quote from one happy customer. Importantly, Car Genie is part of a total brand rejuvenation program. “We’re one of the last great British brands to evolve,” explained Cheryl Calverley, head of group marketing¹. “It’s about time as we’d become a bit of a ‘pipe and slippers-type’ brand.” The core target has been defined as ‘freedom seeking’ drivers. This group (24% of UK) sees driving as a social activity where they can listen to music or hang out with friends, according to AA research¹. 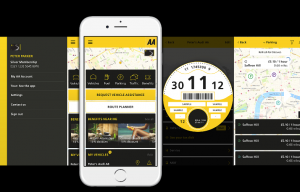 I posted back in 2016 how the AA transformed the mobile experience for customers as part of this brand revitalisation. Before, the brand had 60+ different apps, including breakdown reporting, pub guides and aids for learner drivers. 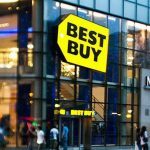 74% of customers did not use an app again after download. A new app tied together all the activities and services, based on consumer needs. The AA’s app store rating jumped from 2.5* to 4*, drove 37% more app visits and 33% more unique users, with double the number of people per week registering to use the app. New communication followed in 2017 (below) with the campaign idea, ‘Because Anything Could Happen’. It seeks to be less functional and dry than previous communication, injecting some fun by featuring a young girl singing and dancing to Tina Turner as her dad drives before their car breaks down and the AA man comes to the rescue. It was interesting to read Cheryl’s comments about the marketing mix used for the brand revitalisation. “I have not seen any evidence of digital working effectively for brand building outside of video-on-demand (VoD). I’ve put a lot of money into digital in the past but never seen it paid back. There’s a lot of maybes and proxies, but never any results!” she observes. The AA campaign focuses on ‘traditional channels’ such as TV, outdoor, print and radio. A small digital marketing spend is mainly dedicated to VoD. However, the brand is investing heavily in digital in a broader sense. This investment focuses not on digital marketing, but rather on marketing in a digital world, via the re-launched core app and Car Genie. In conclusion, the AA is a great example of rejuvenating a long established brand by revamping the core experience and stretching into new markets that in turn grow the core. And early signs suggest the rejuvenation is paying off, with 2.5% growth in Roadside Assistance revenues in 20172. This is modest growth, but reflects a turn-around in paid memberships, from decline growth.